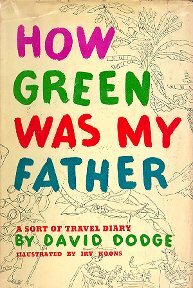 In David Dodges first travel diary, the Dodge family—David, Elva, and 5-year old Kendal—leave San Francisco for Guatemala, via Mexico, by car. Along the way they learn about the hazards of trying to import canned milk into Latin America and driving in Mexico City. They spend a month seeing the sites in Mexico City and environs—including the insides of too many bureaucrats offices while trying to arrange passage for the three of them, plus the car—and eventually land in Guatemala City. Dodge also becomes a héroe americano, Dive-Bomber Dawtch, after a few too many spiked orange sodas in Veracruz. All rights reserved. 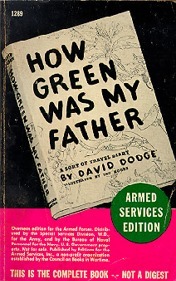 All images copyright of the publishers. Photographs courtesy of Kendal Dodge Butler.